The recent killing of environmental activist Ajit Naik in Dandeli has brought to light the risks faced by environmental defenders in the Karnataka town as well as in the country. The 57-year-old advocate and activist was attacked in Dandeli on July 27. He had fought to stop the building of a seventh dam on the Kali river which could have destroyed the river and its surrounding ecology. In 2016, 16 environmental defenders were murdered in India. The country ranked fourth in number of such killings that took place globally, that year. The Kali river, just 184 kilometres long, in Karnataka, may not have the aura of the mighty Narmada or the political significance of Cauvery. But with six dams, a seventh one proposed, Kali river could soon cease to exist. And to prevent this from happening Ajit Maneshwar Naik, walked along the river speaking to the locals and fought the best fight he could against a corrupt, opaque system. Emerging successful after stopping the seventh dam to be built, Naik continued to fight for environmental justice. And he paid the price for it − with his life. 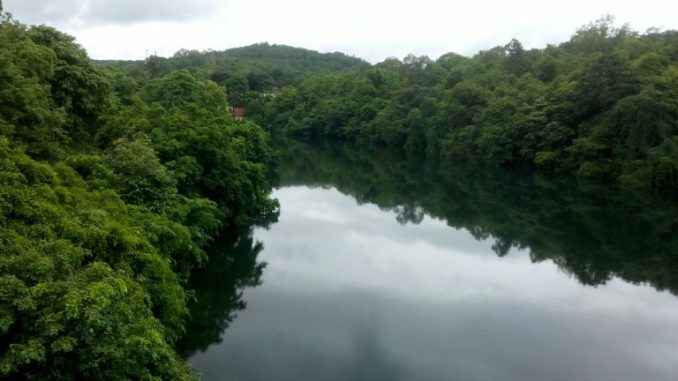 On July 27 this year, the 57-year-old environmental and Right to Information activist was killed in Dandeli, a city on the banks of Kali river in north Karnataka. After finishing work, he was heading to his car when a masked person attacked him with a sword. Passers-by rushed him to a nearby hospital where he was declared “brought dead”. The Dandeli police have arrested three men belonging to different groups and suspect the motive to be a property dispute. When asked if environmental activists are under threat, the police sub-inspector Ullas Pariwar did not deny. “I cannot comment on these issues and tell that the place is unsafe because I am a police officer,” he said. Dam on the river Kali in Dandeli. With six dams in just a 184-km stretch and a seventh one proposed, Kali river could soon cease to exist. Photo by PiolAtif/Wikimedia Commons. A friend and fellow activist, Hemantha Naik said Naik was also the former chief of Dandeli Block Congress and the former president of Dandeli City Municipal. “He contested MLA elections in 2006 but lost. Since then, he was a full-time activist taking on the local mafia and protesting against several environmental issues, particularly against effluents being dumped into the Kali river by paper mills in the area,” he said. Naik’s friends and fellow activists have petitioned the chief minister of Karnataka, H.D. Kumaraswamy, to set up a joint legislative committee that will oversee the ongoing investigation into the murder, as well ensure that the “cycle of violence” in Dandeli, district in northern Karnataka, is put to a stop. A map locating Dandeli on river Kali. Map from Google. “Various powerful forces are behind the ongoing destruction of this ecologically fragile and socially diverse district and we believe their brazen and illegal operations are the direct outcome of a colossal failure in governance and the rule of law,” wrote Leo Saldanha in his petition that urges fellow activists to sign. He is an environmental lawyer, and a trustee at the Environmental Support Group, an NGO that fights for environmental justice. Speaking to Mongabay-India, Saldanha said Naik was working in one of the most dangerous areas in the country for an environmental activist. “A judicial probe of the murder will look at it as a one-off crime and the murderer might be booked. But Dandeli is known for its violence. And that is why we want a Joint Legislative Committee that will investigate the roles of politicians and we can demand answers to development in the region,” he said. “Dandeli is so known for notoriety that even big environmental NGOs were scared to work there. Ajit worked there alone,” added Saldanha. The biggest achievement of Naik, according to him, was that he kept the murmur of protests alive for so long. “In smaller towns, it is difficult to mobilise people and bring out a consensus on important environmental issues. He kept it alive for so many years, and not just for a few banner events or protests,” he said. 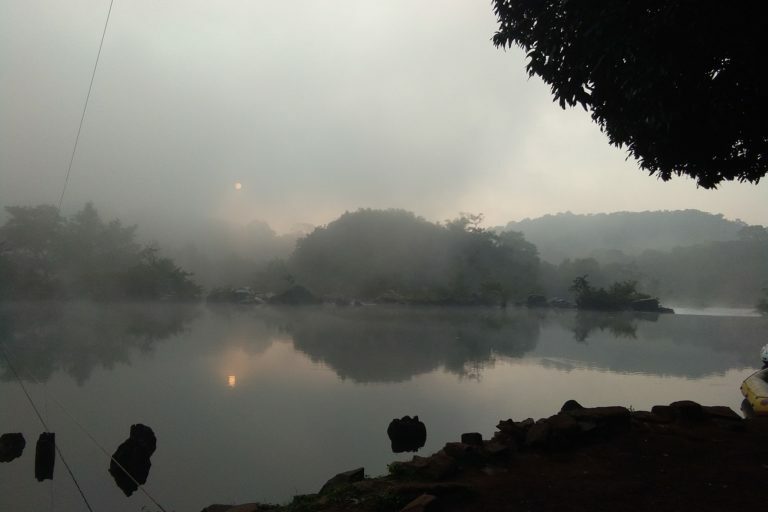 Hemantha Naik said that Dandeli is fraught with violence. Describing his own experience, he said he was once physically assaulted and four to five men barged into his house knowing that he was working against their interests. “In fear, I moved my son out of Dandeli,” he said. After the proposal of a seventh dam to be built on Kali river, the biggest environmental threat to the region was dumping of untreated effluents from paper mills. “Our studies show that heavy metals levels in the rice fields were much higher than threshold levels. Recently, 18 cows were found dead. On post-mortem, it was found that their stomachs were filled with paper pulp,” he added. In 2016, sixteen environmental activists were killed in India, among the highest in the world. Photo by Ashwinirj/Wikimedia Commons. This incident also revives the memory of the 2012 murder of Madan Nayak, an assistant conservator of forest in the area. Media reports suggest that the forester’s murder was because of an altercation with tourists, when he tried stopping one of them from feeding meat to crocodiles in Kali river at the Dandeli crocodile park. This brought out the inability of the forest department to control the number of illegal visitors as well as the mushrooming of illegal resorts and homestays in the forests. India is home to one of the highest number murders of environmental activists in the world. Sixteen activists were killed in India in 2016, up from six in 2015, according to a report by the international NGO Global Witness. The year 2016 was the worst year, according to the report. “India has seen killings spike against a backdrop of heavy-handed policing and the repression of peaceful protests and civic activism,” read the report titled ‘Defenders of the earth – Global killings of land and environmental defenders 2016′. Brazil, at 57, had the most number of killings while India ranked fourth in the number of killings of its environmental defenders. Ajit Maneshwar Naik is survived by his wife and two sons. Banner image: Kali river, on which a seventh dam was proposed in just a 184-km-stretch of the river. 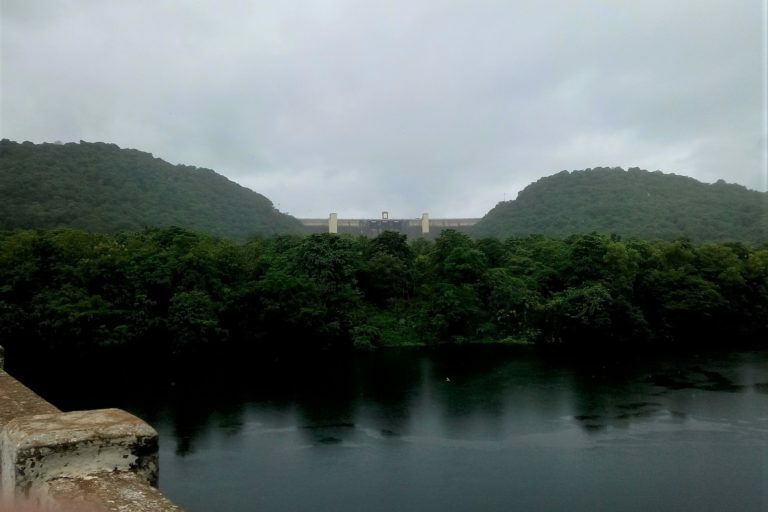 Ajit Naik fought to prevent this dam which would have destroyed the river and its ecology. Photo by PiolAtif/Wikimedia Commons.